We understand that every home buyer and every home seller have different wants, needs and desires. 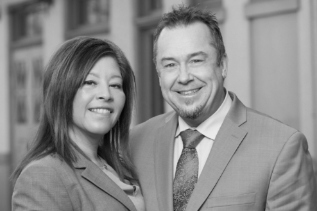 We take the time to listen and learn about our clients, going beyond the typical client-real estate agent relationship and prove that we are "real" in the eyes of our clients. We operate our business using our motto: Real Estate by Real People. Find out why it is better to have a real advocate, a real adviser and a real friend in your corner. Website provided and owned by Knipe Realty ERA Powered.